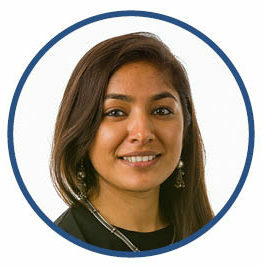 Sameera is Business Manager for Charities Aid Foundation (CAF) – a leading international not-for-profit organization that seeks to create an enabling environment for the development of civil society, through the provision of philanthropy advice and services, and through advocacy. Sameera works with the global alliance of offices and partners in Brazil, Russia, India, South Africa, USA, Canada, Australia, and Bulgaria to grow and develop global philanthropy – both in country and cross border. She leads on planning and development support for the offices and on the global knowledge management program. Prior to CAF, Sameera worked in the banking sector at Commonwealth Bank, Australia and ATB Financial, Canada spanning a variety of roles in leadership, project management and change transformation. She completed her masters in International Development at the London School of Economics which included consultancy projects with IBM – Smarter Cities and Practical Action Latin America around Big Data and the value of innovation brokers, respectively.